Sue established our early learning academy in 1993 with five students and grew to a thriving center serving 65 families. After selling her center in 2010, she enjoyed teaching kindergarten for one year, prior to spending three years as a director in a well-respected chain child care center. In December 2015, Sue returned to our top-rated preschool and is pleased to announce that she is the new owner! She is truly a committed educator for whom early childhood development is a passion. Her philosophy is that every child, regardless of social-economic status, is deserving of quality early childhood education. She is an advocate of age-appropriate curriculum and early intervention if needed. Sue Jennings is the founder of A-2-Z Academy of Early Learning. Sue holds a Bachelors Degree in Psychology and is currently taking her Master’s Degree in Early Childhood Education. She began her journey in child care after the birth of her second son. 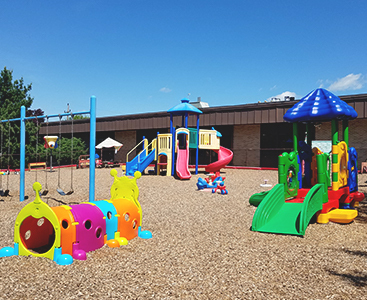 The desire to be at home with her children grew into taking care of neighbors’ children, and soon the need for more space led to her first preschool and daycare center at a local church. Sue’s educational philosophy starts with the right individual curriculum for each child combined with self-paced learning and daily 3-way communication between the educator, parents, and child. 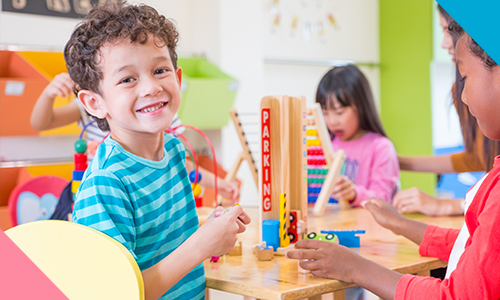 To see Sue’s philosophy in action and find out what makes us the best daycare around, we’d love to give you a tour of our early childhood center. Contact us today!